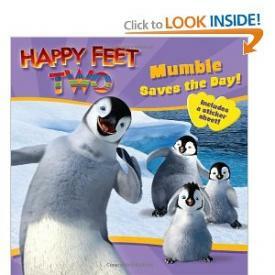 My Family Fun - Happy Feet Two Mumble Saves the Day Beautiful book of Happy Feet 2! Beautiful book of Happy Feet 2! Happy Feet Two Mumble Saves the Day: Includes stickers! Can Mumble find a way to convince the stubborn seal to move and make a new friend in the process? The beautiful book for your children!